One of the world's greatest humanitarians worked from home, sharing her house and virtually every aspect of her personal life with others who volunteered for her life's passion. Imagine. Her unique 10-bedroom home, just four miles from Washington, DC and overlooking both the Potomac River and the Chesapeake & Ohio Canal, served as warehouse, living quarters, and first permanent headquarters of the American Red Cross. This one of a kind Victorian home belonged to one of the 19th century's most influential women. Known as the “Angel of the Battlefield,” a moniker earned due to her heroic relief work during the American Civil War, Clara Barton was founder and first president of the American Red Cross. Highly dedicated to furthering the rights of women and promoting equal rights for African Americans, she worked closely with Susan B. Anthony, Frances D. Gage, Fredrick Douglass, and other civil rights activists. Clara Barton dedicated her life to help those who could not help themselves. In 1897, at the age of 75, Barton moved to Glen Echo, Maryland. Her home reflects the personality of a determined leader and dedicated worker and the overlap between her private and professional lives. 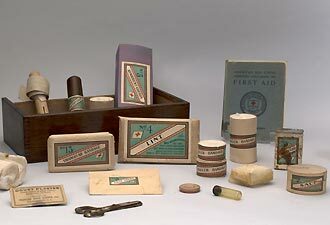 Having 60 closets to store American Red Cross supplies, a built-in safe to ensure relief money would be on hand every day of the week, and cotton bandage-covered ceilings (instead of more expensive plaster ones), the house is filled with examples of Clara Barton's unique personality. The building's practical nature speaks volumes of Barton's work ethic, frugality, sense of duty, commitment, and dedication. Tour the virtual museum exhibit for a first-hand glimpse into her home and a perspective of her daily life. 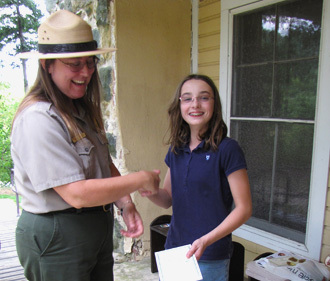 The site also offers a traditional in park Junior Ranger activity book. For information about upcoming events such as the Victorian Greeting Card Workshops, American Red Cross Blood Drive, or art and museum exhibits visit www.nps.gov/clba or call 301-320-1410. 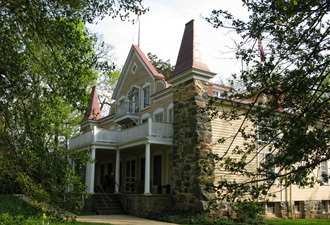 The park's website also provides information on daily house tours and group programs.